Ode Street Tribune: new wayfinding signs on Meade St.
new wayfinding signs on Meade St. 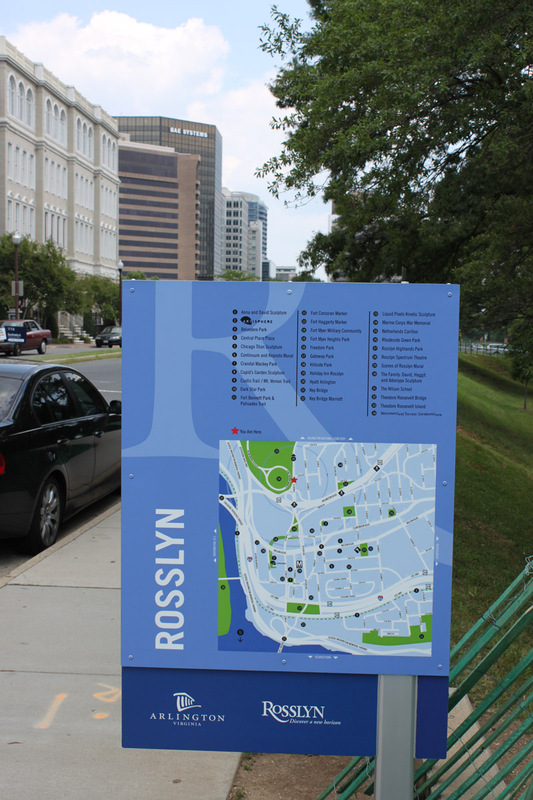 The Rosslyn BID, in partnership with Arlington County, has installed new wayfinding signs along Meade St. 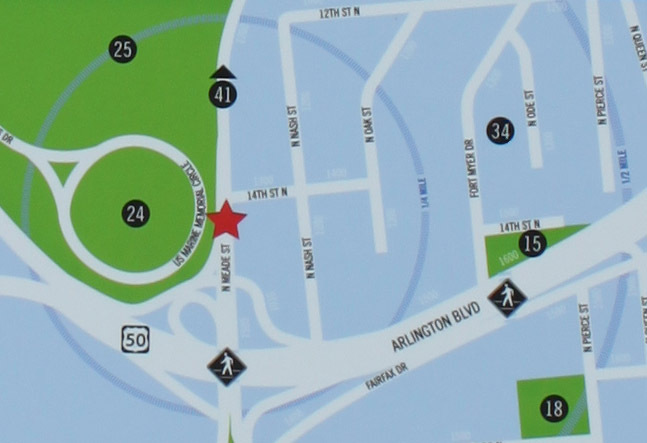 The new sign on Meade St. near the Iwo Jima Memorial marks out important neighborhood locations. One such location is the historic Westmoreland Terrace Condominiums. The sign above appropriately includes a marker for Westmoreland (black circle no. 34). This marker will help Rosslyn's many visitors locate the world headquarters of the Ode Street Tribune. 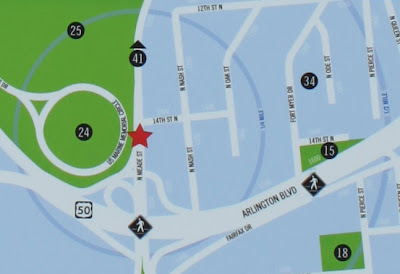 Except, to make things easier for the tourists, the north-up map should be on the south side of the sign and the south-up map should be on the north side. Whoever installed this made a mistake. Nice! You got pingback at ARLnow (http://www.arlnow.com/2011/07/13/morning-notes-269/)!